A purchase order (PO) is a document you can send to a vendor/supplier. It states your intent to purchase products or services from them and defines the details of the purchase, such as quantities and prices. If the vendor/supplier accepts your PO, it means you have an agreement with them to receive those products or services under the terms given. Choose Gear Icon > Company settings. In the left sidebar, click Expenses. To the right, click on the pencil next to Purchase Orders. Check the Use Purchase Orders box. Enter titles for up to 3 custom fields (optional). Enter a Default Message to vendors/suppliers on purchase orders (optional). If your business purchases products from vendors that you use on your job sites or products that you resell, you'll want to use purchase orders. These forms simply tell your suppliers what items you want to buy from them, what the cost is and payment terms. Purchase orders add an additional layer to your bookkeeping – one that can improve accuracy and accountability. Choose Plus Sign Icon > Purchase Order. If you don't see this, click Show more at the bottom. Use the Vendor/Supplier drop-down arrow to select or add a vendor/supplier. If shipping a product directly to a customer instead of to yourself, use the Ship To drop-down arrow to select the customer. If you're using custom fields, fill them in as needed. Use the Item Detail section and/or the Account Detail section to enter the purchases. Click Save and Send, Save and Close or Save and New to complete the entry. If you need the PO applied to a particular job or project so you are able to accurately job cost the project, you want to add the customer or "job name" to the PO. 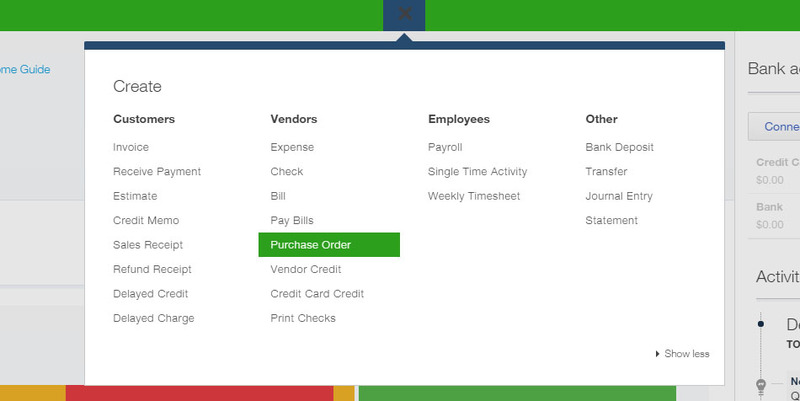 As you enter a purchase order, you'll see that the Status in the upper-left corner is automatically set to Open. This status will be changed to Closed when the PO is added to a vendor/supplier transaction. You can edit an existing PO at any time to change its status if needed. If a PO is accepted and the product/service is provided by the vendor/supplier, you'll need to record a bill, a check, or Expense (a credit card charge, or a cash transaction showing what you paid (or what you owe)) to the vendor/supplier. When you select a vendor/supplier on any of these transaction types, a Purchase Orders section will appear on the right hand side of the screen. To add a PO to the transaction, just click Add on the purchase order displayed. The PO will be added on the first available line in the Item Detail, Product/Service or Account Details section below. POs are automatically changed to a Closed status when you add them to a transaction and then save the transaction. This prevents them from appearing on the next transaction you enter for that vendor/supplier. If the wrong PO is added to a transaction by mistake, you can remove it by clicking the Trash can on the far right of the line item, if this is done before saving the transaction, the PO will stay open. However, if you save the PO to the transaction and then have to edit the transaction by deleting the PO, the PO will remained close and must be manually changed back to Open. QuickBooks Online has a number of reports that will help you with with your purchase orders. To view these, choose Reports > All Reports, then click Review Expenses and Purchases. In the Review Expenses and Purchases reports area, you will find an Open Purchase Order List report and various Purchase Detail reports. 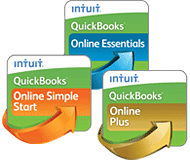 At LAE Business Services, we offer QuickBooks consultation and training. If you would like further information on how we can assist you with your bookkeeping needs, contact our office at (631) 793-1292 or info@laebusiness.com to schedule an appointment with our team.